Former Hilton Head Island resident Lawrence A. Colby spent 20 years flying for the U.S. Marine Corps and the Air Force Reserve. He spent five years working as a military assistant at the Pentagon. Now he’s reached new heights: His Ford Stevens Military Aviation Thriller Series is a No. 1 Amazon best-seller; the second book in the series, “The Black Scorpion Pilot,” was released in December. Though he has lived in the Washington, D.C., area for years, the Lowcountry remains one of Colby’s favorite places, he said. He loves the area so much that he has snuck in mentions of several local spots in his books — for example, Skull Creek Boathouse and Green Wing Teal Road in Sea Pines. “I love capturing places that I’ve lived or have visited, and I like to work that into my stories so that I write with full authenticity,” Colby said. “Because I lived on Hilton Head, I know the people, the places and the culture.” Colby’s newest military suspense novel can be found online through Amazon, Barnes & Noble and other retailers. It is also stocked locally at the Skull Creek General Store. For more information, go to www.colbyaviationthrillers.com. Thanks, John! Glad you enjoyed it! 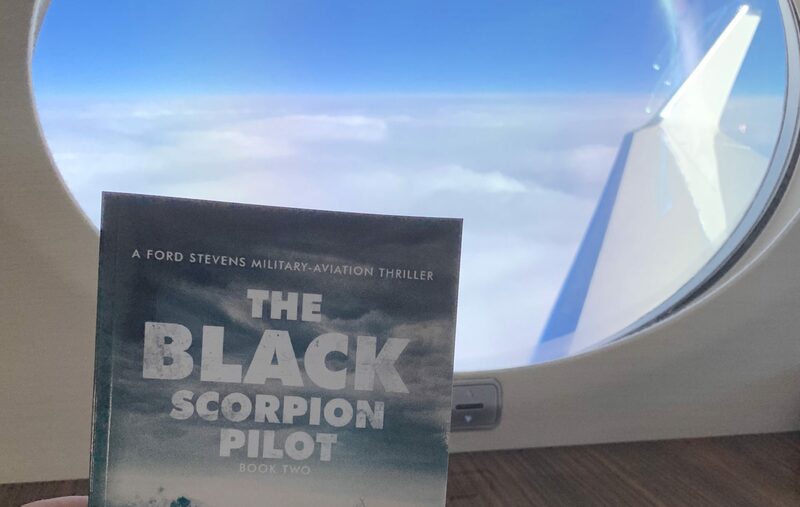 I enjoyed this book even more than the “Devil Dragon!” Colby brings a realism to this military thriller no doubt from his years of experience. I cant wait to check out Skull Creek on my next trip to HH…hopefully this April! If you enjoy military thrillers, this series is a MUST! Previous PostPrevious Thank You For A Great 2018! Next PostNext National Air and Space Museum – Book Signing on Saturday, April 27, 2019!